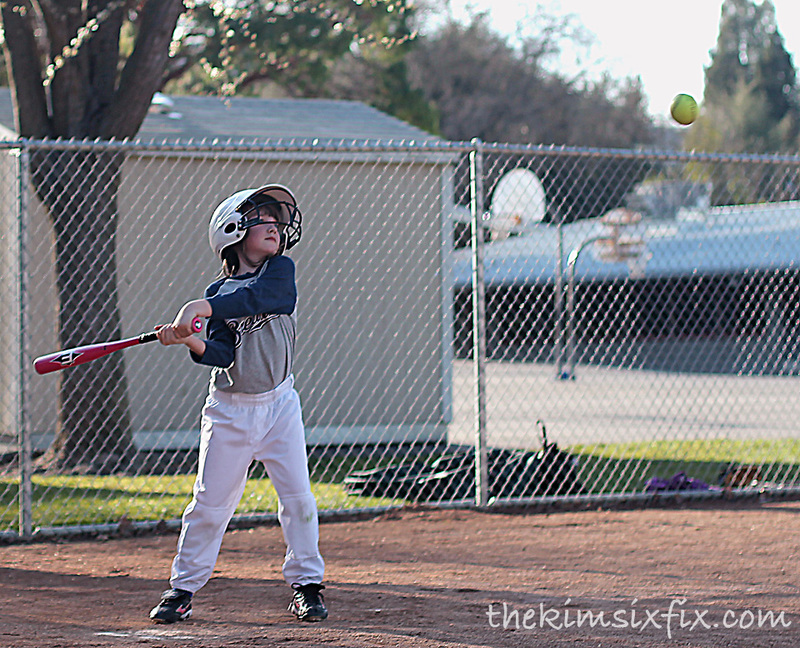 but also both of the girls play softball and/or t-ball during the late spring and early summer. 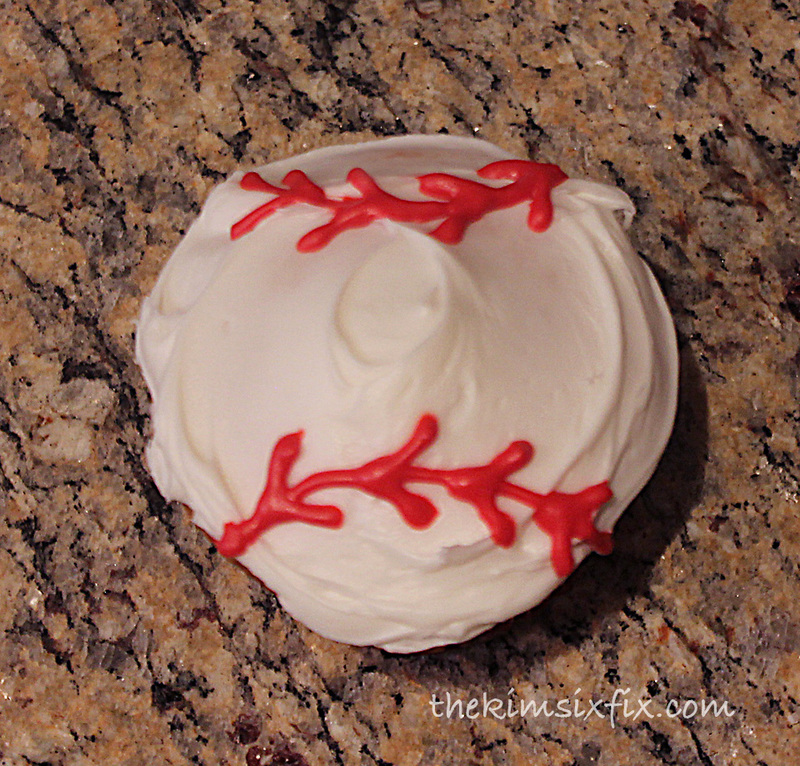 So this year when my 7 year old had a season wrap-up party and I was assigned a dessert to bring, I HAD to make little baseball cupcakes. The problem was I had a 3 week old at the time, and there was no way I could dedicate a lot of time to whipping something up from scratch. Enter Pillsbury. 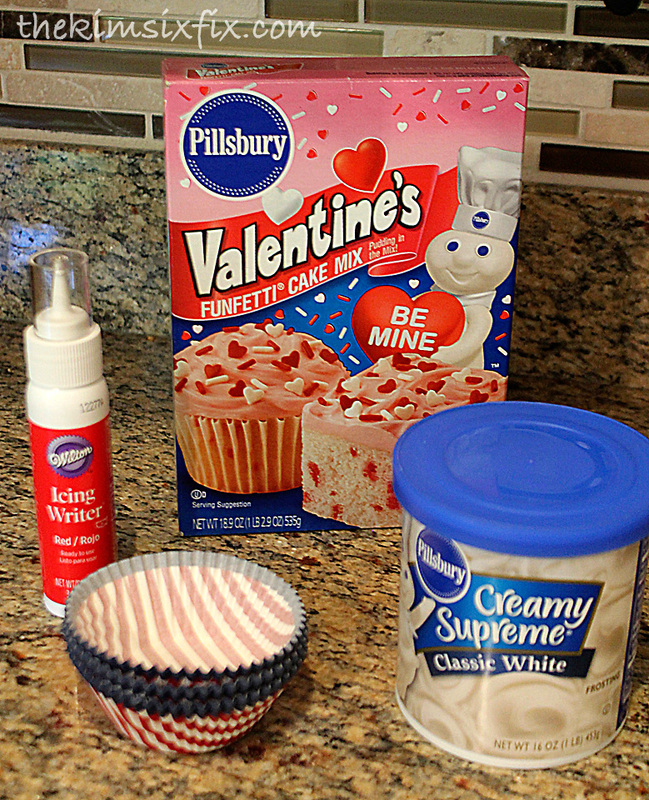 I was able to find a red and white cake mix, white frosting and a Wilton Icing Writer in bright red. 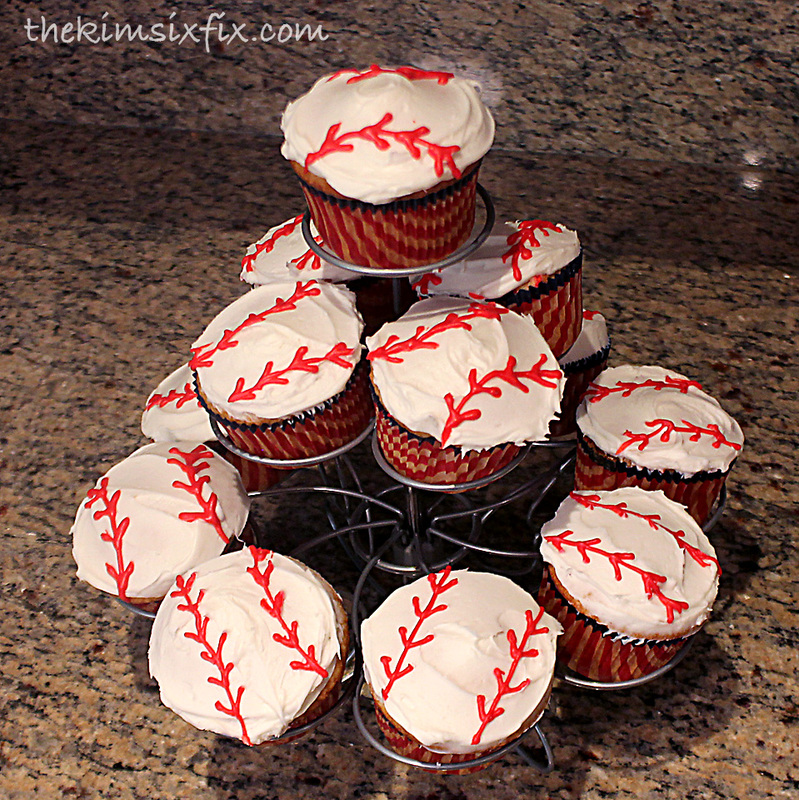 Except for the baking and actual decorating, everything was done for me. The frosting writer made it easy since I didn't even have to drag out my food color or piping bags. The stitches were just two arches with little carrots(?) running along them? 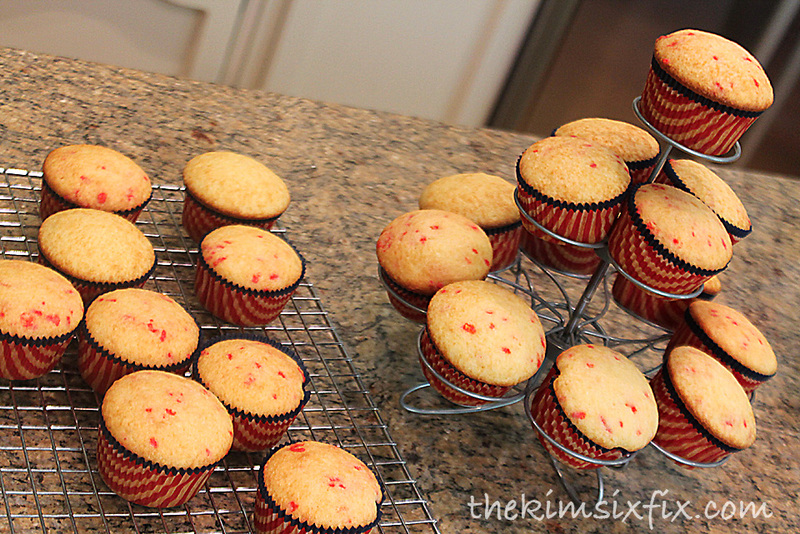 I stacked them on my cupcake display tower, and ta-dah! 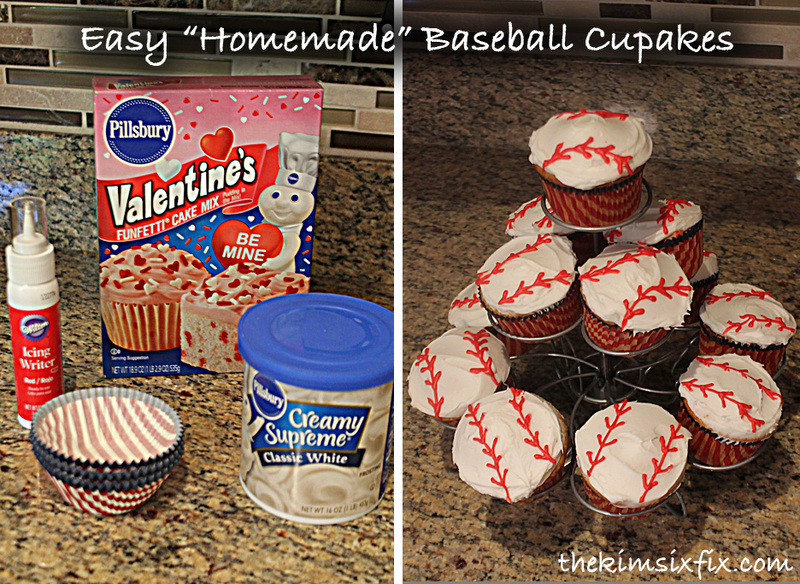 Less than 30 minutes worth of work, and about $6 in supplies, I had some pretty custom looking cupcakes!